No right seems more fundamental to American life than freedom of speech. Yet well into the twentieth century that freedom was still an unfulfilled promise, with Americans regularly imprisoned merely for speaking out against government policies. 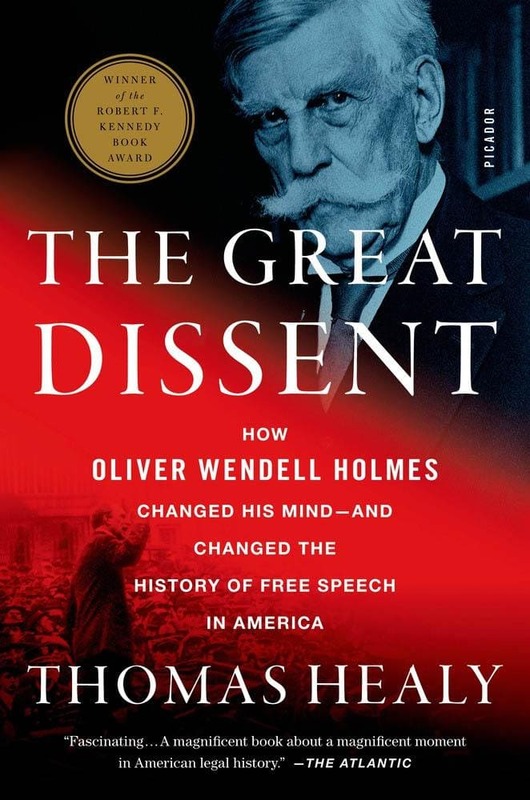 Indeed, free speech as we know it comes less from the First Amendment than from a most unexpected source: Supreme Court Justice Oliver Wendell Holmes. A lifelong skeptic, he disdained all individual rights, including the right to express one’s political views. But in 1919, it was Holmes who wrote a dissenting opinion that would become the canonical affirmation of free speech in the United States. Why did Holmes change his mind? That question has puzzled historians for almost a century. Now, with the aid of newly discovered letters and confidential memos, Thomas Healy reconstructs in vivid detail Holmes’s journey from free-speech opponent to First Amendment hero. It is the story of a remarkable behind-the-scenes campaign by a group of progressives to bring a legal icon around to their way of thinking—and a deeply touching human narrative of an old man saved from loneliness and despair by a few unlikely young friends.